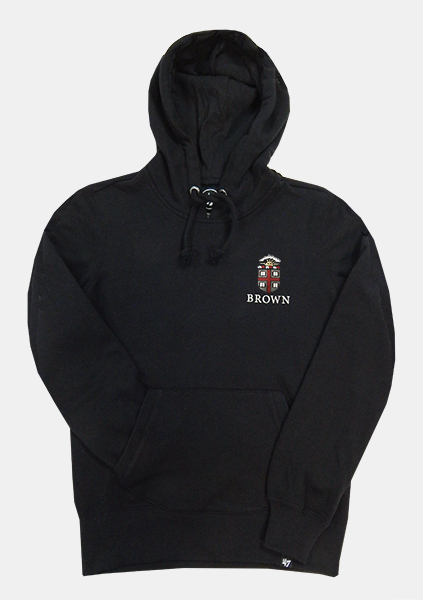 47 Brand 60% cotton, 40% polyester, drawstring-hooded, black women's hooded sweatshirt with hand-warmer pocket. Grey, cardinal, black, white, and gold Crest imprinted above 'BROWN' in white. 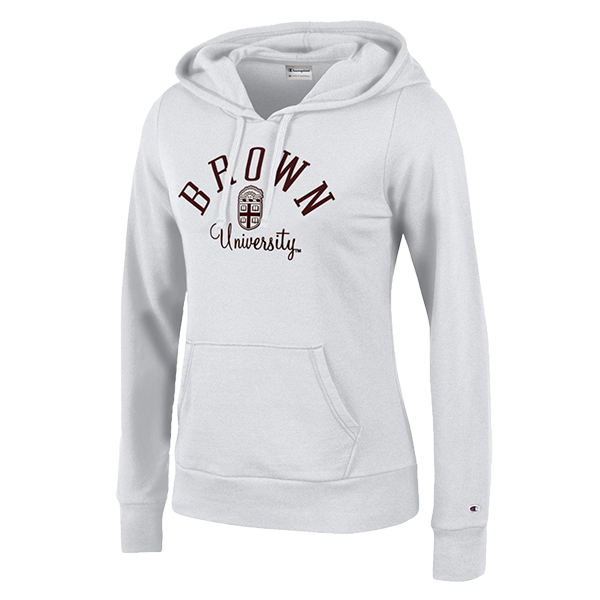 Please select option for 47 Brand Black Crest Women's Hooded Sweatshirt - $50.99. 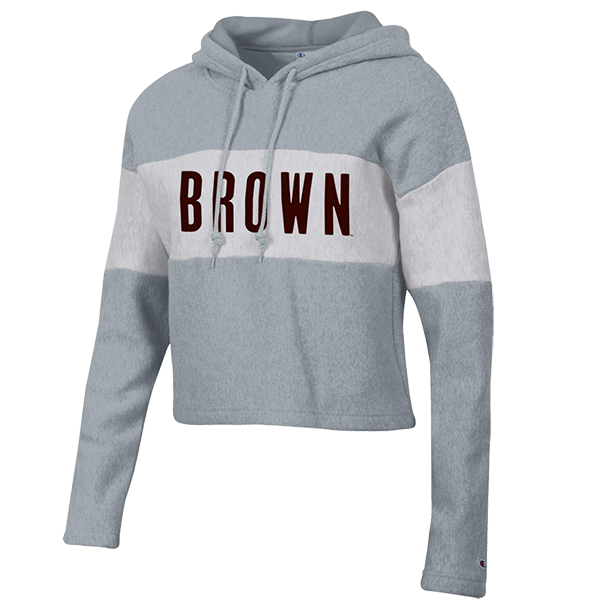 47 Brand 60% cotton, 40% polyester, drawstring-hooded, soft, grey women's sweatshirt with hand-warmer pocket and ribbed detail at end of sleeves, on hand-warmer pocket, and at bottom. 'BROWN' imprinted in dark brown with white and black outlines above dark brown Paw on white background with cardinal outline. 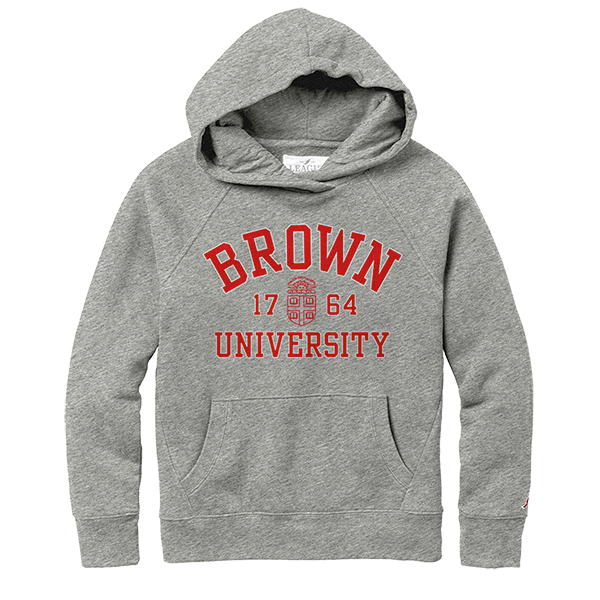 Please select option for 47 Brand Grey Paw Women's Hooded Sweatshirt - $50.99. 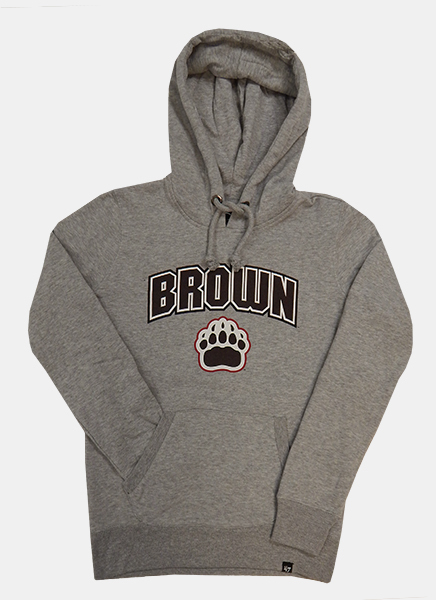 Champion 100% polyester, 1/2 zip hooded sweatshirt. 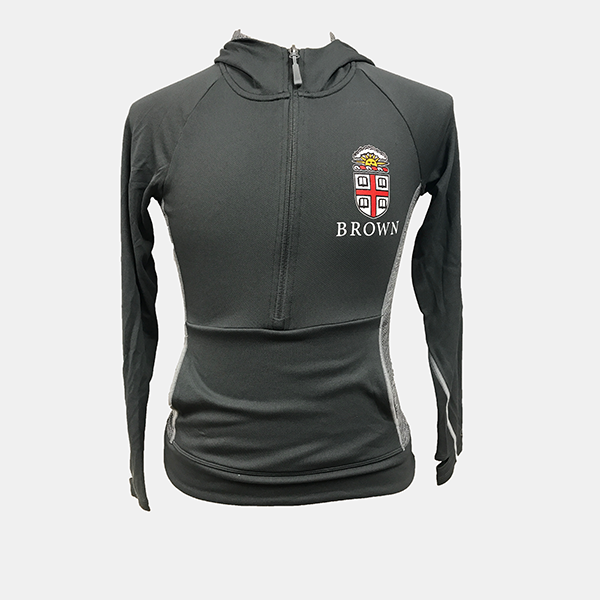 Dark gray/green body, sleeves, front pocket and hood. Sides and inside hood are heathered grey. Crest in gold, white, cardinal, and black on left breast above 'BROWN' imprinted in white. Please select option for Champion 1/2 Zip Hooded Gray/Green Sweatshirt - $44.99. Please select option for Champion Reverseweave Crop Hoodie. 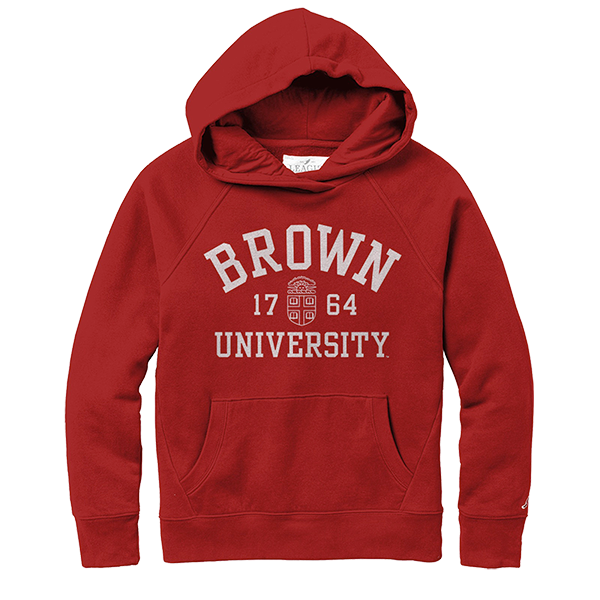 Please select option for Champion University Hoodie. Champion, 100% polyester. 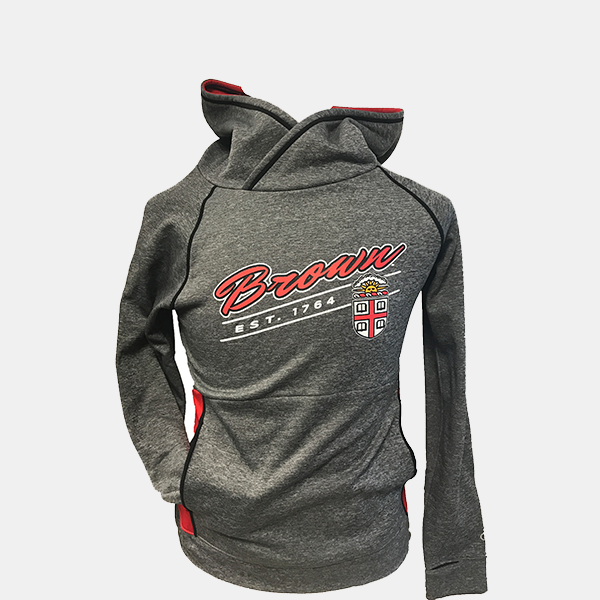 Gray pullover sweatshirt with scarlet lining, front pocket, thumb-holes, and hood. 'BROWN' imprinted in scarlet script with black and white outline. 'EST. 1764' imprinted beneath in white print next to Crest in cardinal, gold, white, and black. Please select option for Champion Women's Gray Fleece Pullover Sweatshirt - $54.99. Please select option for Cutter & Buck Ladies Tackle Hoodie - Charcoal or Cardinal. 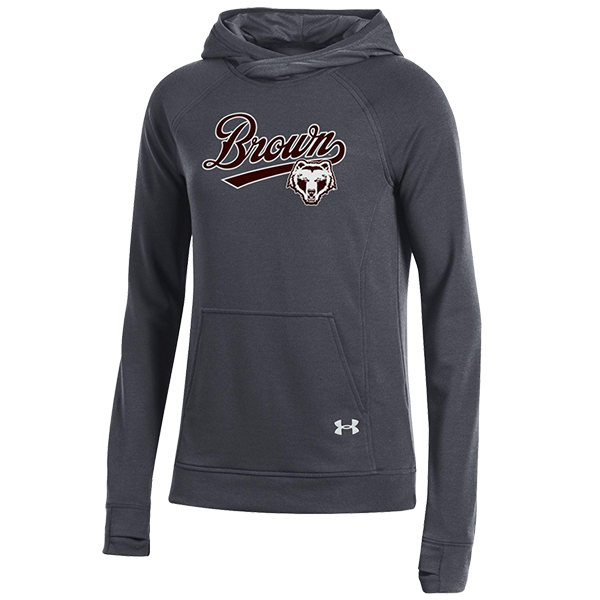 Please select option for Cutter & Buck Women's Tie Breaker Hoodie. Please select option for League Academy Hood - Grey. Please select option for League Academy Hood - Red. 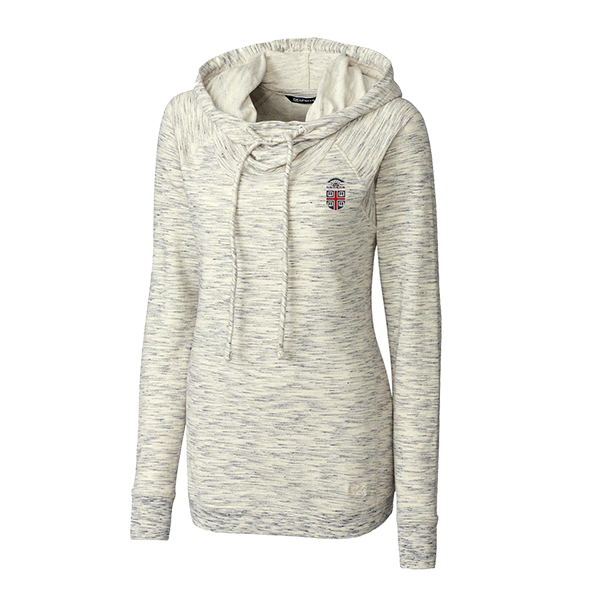 Please select option for Under Armour Women's Tech Terry Pullover Hoodie.